Form and function join together in this chest of drawers. Five drawers feature dovetail construction and center metal glides for easy usability and lasting durability. 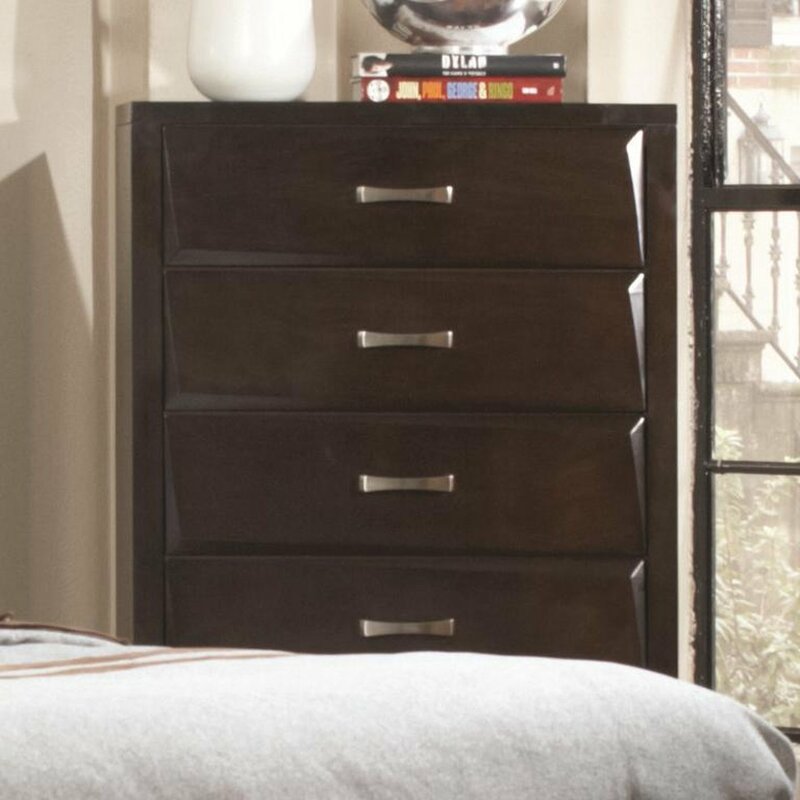 Chrome finished hardware provides a beautiful accent against the chest's dark cappuccino finish. This is the perfect piece when you need extra storage for linens, clothes, or other small bedroom items. Simplify storage with this beautiful, sophisticated chest of drawers.